The Recognition of Prior Learning RPL report approach recognizes that applicants may have acquired suitable skills, experience, knowledge amid their past work (paid or unpaid), be it in Australia or any other countries. It additionally thinks about any skills the individual will have created because of taking part in learning encounters in Australia or abroad. RTO’s believe about a person's current skills, knowledge, experience which one gains in a practical, non-formal or formal qualification as a mode of assessing. This is to verify that the person can showcase their qualification, experience, skills which are required to compete with the pertinent Australian Standard. 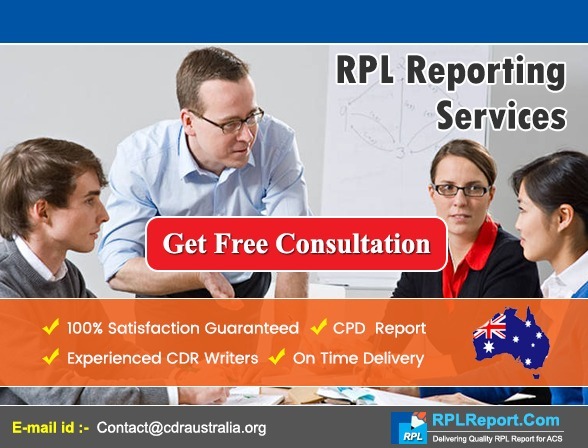 This Assessment process is called as RPL reporting services (Recognition of Prior Learning).